What? The new year? Every parent knows that August means the new school year is just around the corner. It is true here in Haiti as well. 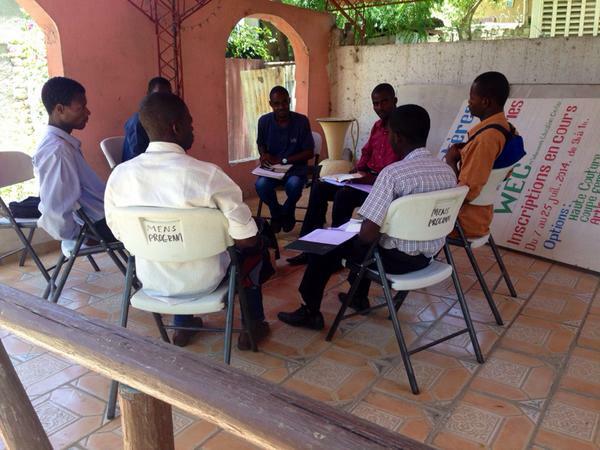 We, at Heartline, are delighted to serve and support the Haitian community with educational support and services. Sponsorship opportunities open starting in August so all the students are ready to begin in September. Our first group of sponsorships is now open. This is the men’s program. Read about it in detail here. Please consider supporting us by sharing this information and by praying that God will raise up the donors needed to keep these programs going. If you so desire to provide support, one-time donations are always appreciated and welcome in any amounts. For a full sponsorships, payments are monthly and are for one year. The amount varies by program. For the men’s program, the donation amount is $58 per month. You are our support team and we pray that you will consider Heartline. The men in this year’s group meet for devotions.